Grandparents’ Day is the special occasion in which you can demonstrate to your dearly beloved grandparents how much the truly mean to you. Ellon Flowers are on hand to help with this special day by offering a wide selection of Grandparents’ day flowers. 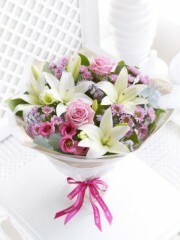 The florists at Ellon import a range of fresh flowers for you to choose from. 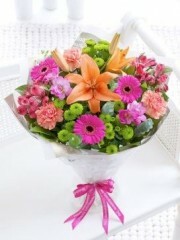 All of the flowers used by the expert team at Flowers Ellon are selected and imported from Holland on a regular basis. As a result all of the Grandparents’ Day flowers in Ellon florists arrangements and bouquets are beautifully fresh and of the finest quality. The Grandparents’ Day flowers available to choose from at Ellon Flowers come in a variety of species, shapes, colours and sizes, with something guaranteed to suit the preferences of you and your Grandparents. Whether you would like the expert Ellon florists to create a gorgeous hand-tied bouquet or assemble an amazing arrangement, you can be confident in knowing that your order is in the best of hands. The florists in Ellon have a considerable number of years’ experience in the floristry industry and know exactly how to create stunning bouquets for every order. Flowers Ellon have a keen eye for detail and the creativity to design something that is bound to put a smile on your recipient’s face on Grandparents’ day. If you know what you would like to include in your Grandparents’ day flowers you can tell one of our expert florist Ellon team who will be happy to assemble your order for you. 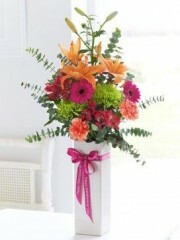 Furthermore, Ellon Flowers have a range of flower arrangements and bouquets already designed within their online store. This is perfect if you do not know quite what you are looking for as you can choose from the expert florists’ extensive selection. Alternatively, if you aren’t satisfied with any of the arrangements and bouquets already designed by Flowers Ellon, you can leave your order in the hands of our professional Ellon florist team who will make a unique bespoke Grandparents’ day flower arrangement or hand-tied especially for your grandparents. 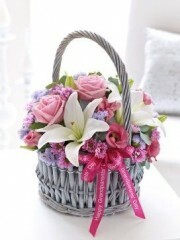 To accompany your Grandparents’ day flower delivery, you may wish to include one of Ellon flowers’ fabulous gifts. The selection of Grandparents’ day gifts include scrumptious chocolates, delicious wine or champagne, cute teddy bears and various balloons. Our balloons can be assembled as a fabulous balloon bouquet for Grandparents’ day. These are only a few of our excellent Grandparents’ day gifts available that are certainly going to make your florists in Ellon flower delivery superior to any other. If you wish to have your Grandparents’ day flowers delivered to your loved one with same day delivery, place your order with the expert Ellon florists team before 3pm. This will ensure that Flowers Ellon have enough time to focus on making your flower delivery perfect and concentrating on making sure that every tiny detail is to the highest standard. Ellon flower delivery is available six days a week from Monday to Saturday. 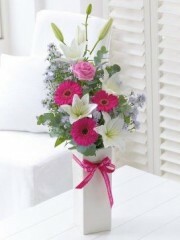 The Ellon florists offer a number of different flower delivery services. Flowers Ellon allow their customers to choose if they wish to have the Grandparents’ day flowers delivered before or after 1pm. All flower delivery Ellon options are affordable and handled by our expert drivers who work with great care to ensure the preservation of the Grandparents’ day flowers. To further discuss delivery options, to place a Grandparents’ day flowers order or to speak to one of the trusted expert florists at Ellon flower delivery, call 01382 339 089 without hesitation.